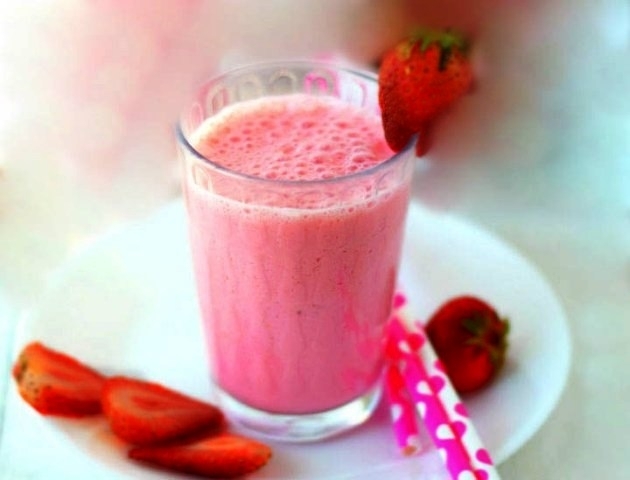 In blender or food processor, place soymilk, strawberries, banana and orange juice. Cover; blend on high speed about 1 minute or until smooth. Sweeten to taste with honey.